We energetically assess the underlying causes behind issues within the body and determine what the body needs to heal. Chronic degenerative disease is often linked to blockages at an organ and cellular level. We determine what deficiencies, stressors and toxins are affecting the body and what nutrients are needed to restore health by using Nutrition Response Testing. This is a non-invasive system of analyzing the body using a muscle testing technique based on Applied Kinesiology and the body’s own organ reflexes or dermatomes. The Morphogenic Field is a term used to describe the field of energy around the body. It is an extension of the electrical energy of the nervous system. Just as all electrical systems have electromagnetic fields that surround them; the brain is an electrical generator with its own field of energy that extends away from the physical body. In the Morphogenic Field Technique, we rely heavily on information from the energy field of the cell to guide us in developing nutritional protocols for the individual patient. Cellular communication is the ultimate goal. When we address the exact nutritional needs at the cellular level, we affect the greatest change in health. After we identify the underlying reason your body is creating symptoms, we can isolate and verify the precise whole food supplements (and quantities) your body will need to resolve its problems. As unique individuals, there is no such thing as a “one nutrition plan fits all”. Learning the basics of nutrition and how your body works enables you to work out the exact right way YOU need to eat to achieve YOUR health goals. A non-invasive, computer-based program designed for assessing your Autonomic Nervous System (ANS) and general health. Cold laser therapy is a non-invasive procedure, meaning that it does not require a surgical incision. Cold lasers are currently used against viruses, scars, burns, wound healing, and much more. Cold Laser Therapy uses laser light to stimulate cells to function optimally. In the body, light sensitive chromophores and other elements within the cell absorb energy, initiation a series of important photochemical changes providing the cell with the extra energy needed to accelerate the healing process. The additional energy and effects result in normalization of cell function. We take a different approach as the goal is “total health restoration”. Using Nutrition Response Testing® assessment, we precisely identify your body’s specific barriers and address each one in turn, starting with the primary block to your health and then intelligently tackling each barrier until you have restored your whole health. Your body is always trying to heal itself but it has barriers preventing that. Food, toxins and even your scars can be blocks to your body’s healing. We help identify those blocks and support the body in healing! Our bodies are exposed to many chemical, metal and immune challenges in our environments and our foods. Some we are even born with. We have many different detoxification programs that will assist the body in “cleaning house”. Give ABC Family Chiropractic and Wellness call today. 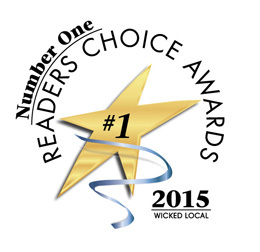 Thank you to everyone who voted for ABC Family Chiropractic & Wellness to be the #1 Chiropractor in Arlington!